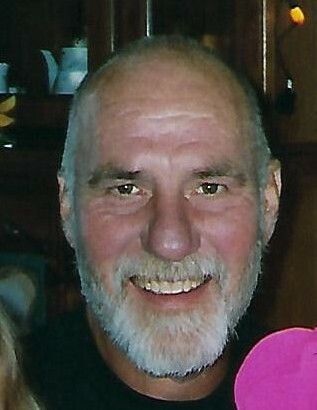 Duane R. Kaiser, 69, of Dubuque, Iowa passed away on September 4th, 2018 at Unity Point Health, Finley Hospital. Funeral mass will be at 5:00 p.m. Friday, Sept. 7th, 2018 at the Church of the Nativity with Msgr. James Miller officiating. Visitation will be from 12:00 p.m. to 4:45 p.m. Friday at the church. Military honors will be accorded following mass by the Dubuque Marine Corps League. Leonard Funeral Home & Crematory, Dubuque, Iowa is in charge of arrangements. Duane was born on October 2, 1948 in Dubuque, Iowa the son of Donald and Bertha (Hinderman) Kaiser. 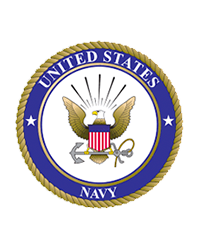 He graduated from Wahlert High School in 1966 and served in the US Navy during the Vietnam War. He married Ann Habeck on June 26, 1970 at the Church of the Nativity. He worked at Dubuque John Deere for 32 years and was a member of the United Auto Workers Local 94. After retirement he worked at New White Florist as a delivery driver. He enjoyed golfing, hunting, fishing, and playing softball. He loved his grandchildren and spending time at their sporting events. Duane was a loving husband, father and grandfather who was always willing to lend a helping hand or engage in a good conversation. He is survived by his wife Ann; his son Keith Kaiser, of Peosta; daughter-in-law Julie Kaiser-Hillary, of Hazel Green, WI; grandchildren Gabby and Izzy Kaiser; and his sister Jean (Dave) Schmitt, of Dubuque, brother-in-law Lance (Marlene) Habeck, of Polver, WI. He was preceded in death by his parents, his son Kevin Kaiser, daughter-in-law Joy Kaiser, his mother and father-in-law Ervin and Janet Habeck. The family wishes to thank the staff of Stonehill Care Center, the 5th Floor doctors and nursing staff at Unity Point Health, Finley Hospital, Dr. Herman and Dr. Cao for all their wonderful care and kindness they gave. In lieu of flowers a Duane Kaiser memorial fund will be established.